A rugged 40mm, Swiss-powered automatic watch with 20ATM water resistance and an external, rotating 12-hour bezel that’s built to discover. A 40mm, manually wound, flyback chronograph with a 60 hour power reserve, date at 6 o'clock, and a stacked register at 3 o'clock that tracks both minutes and hours. 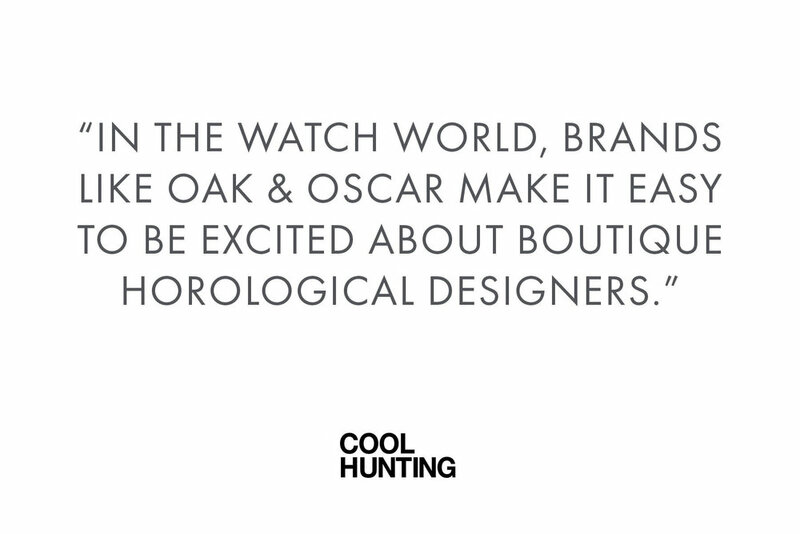 Founded in 2015, Oak & Oscar is a Chicago-based independent watch company. Three guiding principles drive everything we do: to make no little plans, the belief that good people make great products, and that the details always make the design. IN THE NEWS: GET EXCITED, WE MADE A BRACELET! OWNERS SPOTLIGHT: MEET CAMERON S.
OWNERS SPOTLIGHT: MEET MICHAEL S.
Trust, transparency and a commitment to you are the core values that drive us everyday. 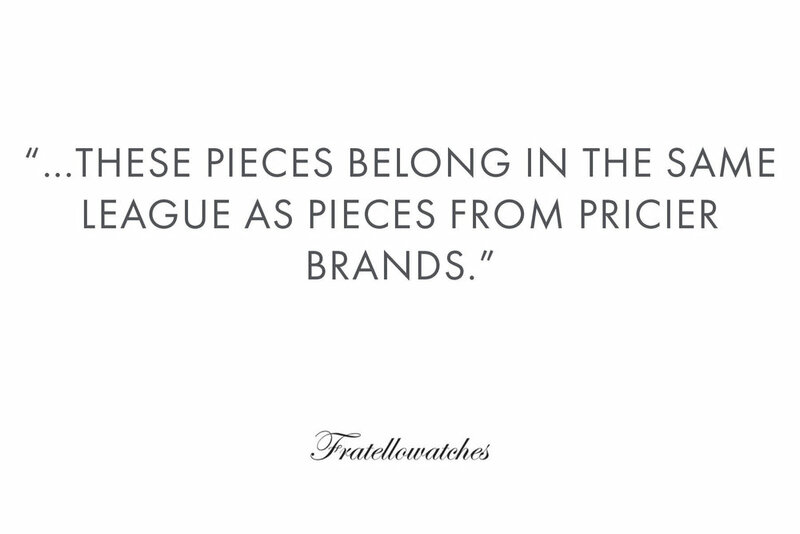 We're here to make well thought-out products with exceptional service you can count on. 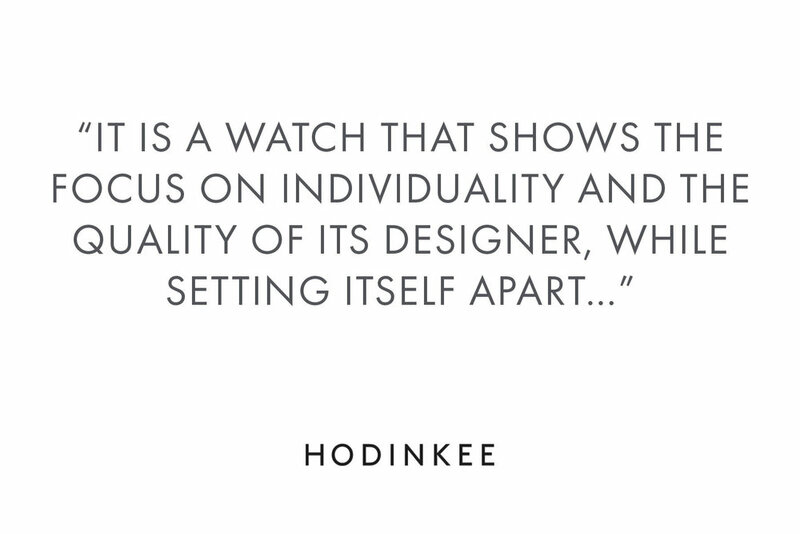 We love knowing that our timepieces are worn with pride and are part of a bigger story to your life.